A storm of protest was unleashed on 29 April 1997 when BHP announced that the firm would close its steelworks at Newcastle. The Premier of New South Wales, Bob Carr, declared it BHP’s ‘boardroom betrayal of working class Australia’ – a betrayal because the highly unionised workforce had accommodated so much change since the 1980s. The number employed had fallen by over 8,000, productivity had soared and strike levels had collapsed, all based on BHP’s promises that it would keep making steel in the city. At stake was no less than BHP, that extraordinary transnational corporation and Australia’s original integrated steelworks. Its furnaces, first tapped in April 1915, had fuelled the firm’s prosperity and produced the steel that had built the new nation’s industrial identity. Newcastle was Steel City. Focusing on industrial relations at the Works, this investigative study reveals the complex struggles and challenges leading up to the closure announcement and then onto the final day in September 1999. 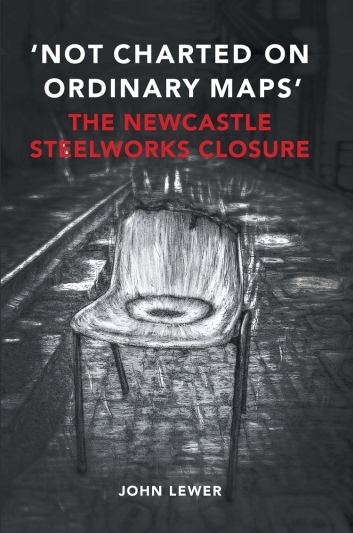 This is a story about workers and their unions, managers and their decisions, and Newcastle, intertwined in the largest deindustrialisation event in Australia’s economic and social history. It is a story which is ‘not charted on ordinary maps’.